As most of you know, I am seeking reelection for a third term as Plumas County Supervisor representing District 3. I am a fiscal conservative and as such feel it important to carefully manage County resources and the budget. My past two terms have been through very trying times in terms of the budget. We have consistently made the cuts necessary to maintain a balanced budget and live within our means. Some of these cuts have been difficult and painful for all involved. However, they were necessary and as a result have positioned Plumas County to survive where other local governments have resorted to draconian measures. I do not believe the times of dwindling revenue and higher costs are over. One of the cuts we made eliminated our County Administrative Officer/Budget Officer. With this change Supervisors became the budget officers and worked closely with County Departments in formulating their operating budgets thus gaining in depth knowledge of County finance. I feel it is critically important that Plumas County Supervisors continue in a conservative path as we move into the next few years. I want to be part of that team. There are many issues facing Plumas County and the Almanor Basin that, at this point, are a work in progress. The FERC re-licensing 2105 project has been in process since 2002 and appears about to enter a final phase. 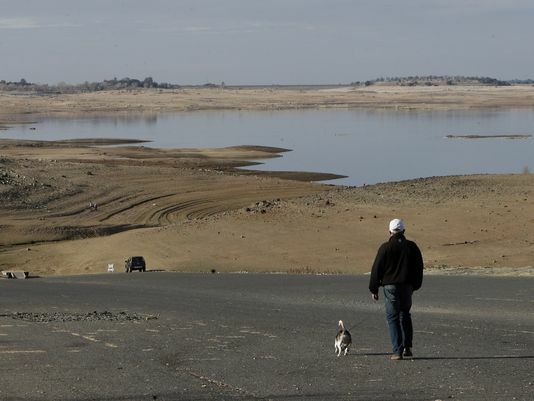 Water is one of our greatest commodities and with the drought declaration by Gov. Brown there will be a battle protecting our Area of Origin rights. U.S. Forest Service continues work on their travel management plan. We will need to be vigilant in protecting our rights to use and enjoy our public lands in the forest. I could fill pages with the list of issues facing us in the next few years; suffice to say they are many and varied. I have long searched for a way to make information available to my constituents as things develop. I have used an email system in the past however it has many drawbacks. I cannot send to more than 99 email addresses per hour without being blocked as a spammer. Email addresses change and notices bounce. Rather than continuing to use my email list I am establishing this web site as a means of posting current, real time, information as well as background regarding current issues Plumas County is engaged in and more in-depth research and opinion from contributors. I intend to maintain this web site through my next term and beyond. It is my hope you will check in often. Use the web site as a tool to become informed and involved. Use the “Contact” form to contact me with your concerns and questions. I take very seriously my responsibility to represent you and thank you for allowing me to be your representative these past years. WHY “THE ALMANOR POST” ? Life in a “Frontier” community presents many challenges. As a Plumas County Supervisor of seven years, with 15 years of devoted community service, I have been constantly frustrated by the difficulty encountered in communicating timely, in-depth information on subjects critical to my constituents throughout the Almanor Basin. I see The Almanor Post as a vehicle enabling me to make that information available to a wide audience, while receiving valuable input on the issues that confront us in our daily lives. It is this input that frames my decisions on your behalf. It is not my intent to duplicate our local newspaper, the Chamber of Commerce or any other organizations’ work, but rather, to focus on a more in-depth perspective related to policy issues. In doing so, I urge you to take time to become more familiar with the issues confronting us and to question me where and when necessary. If I don’t have the answers, I will make every effort to find the information for you. I will be using this venue to post the news that is “The News”, in the hope that it will provide all of you with the most up to date information available to me, at the time of posting. This project will be a work in progress, indefinitely; revisit often!